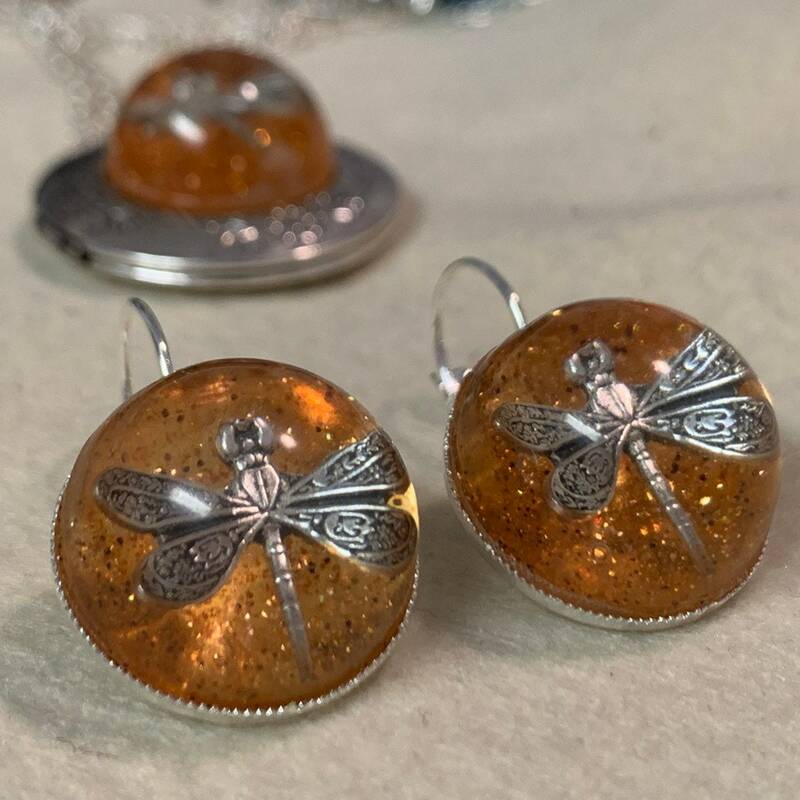 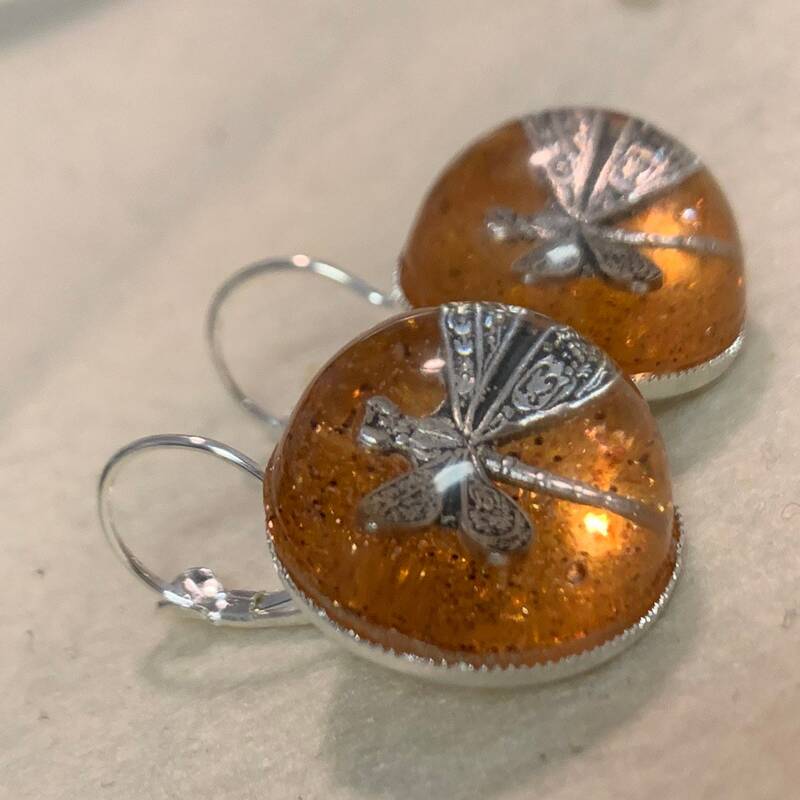 Dragonfly in Amber Cabachon in a silver plated lever hook setting. 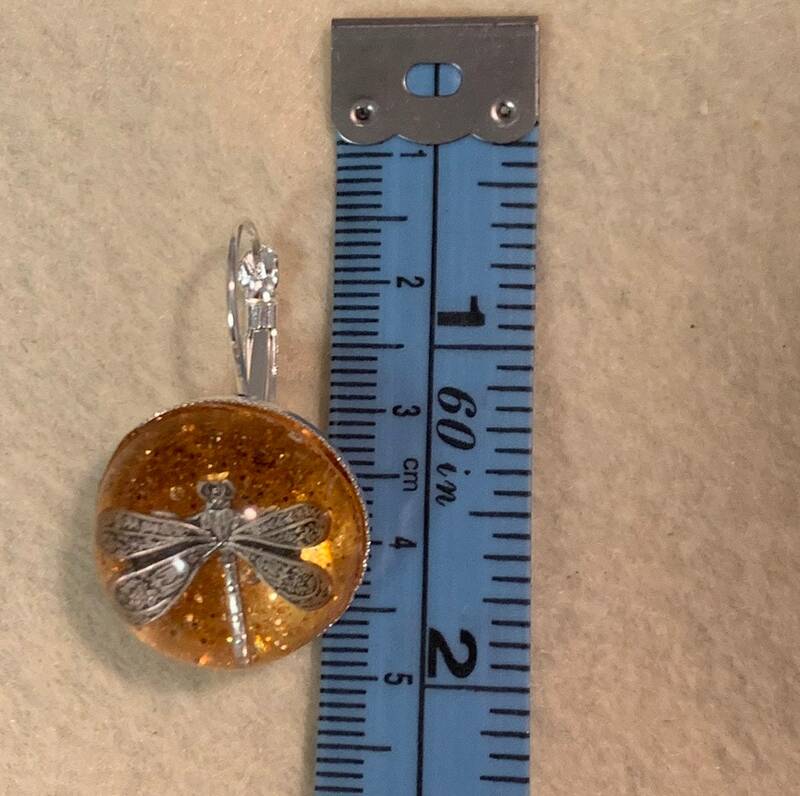 20mm wide 30mm long. 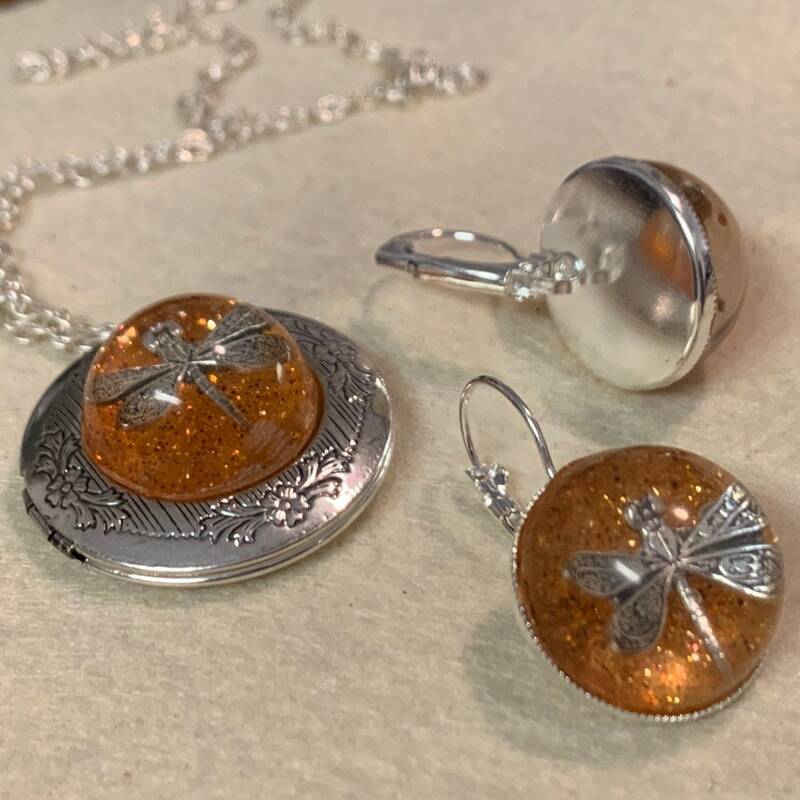 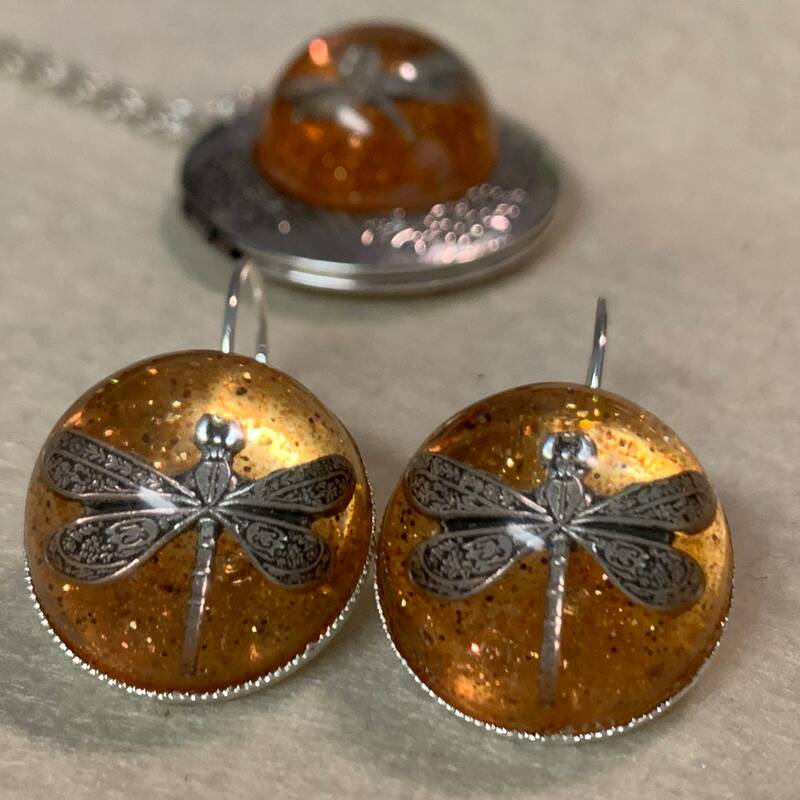 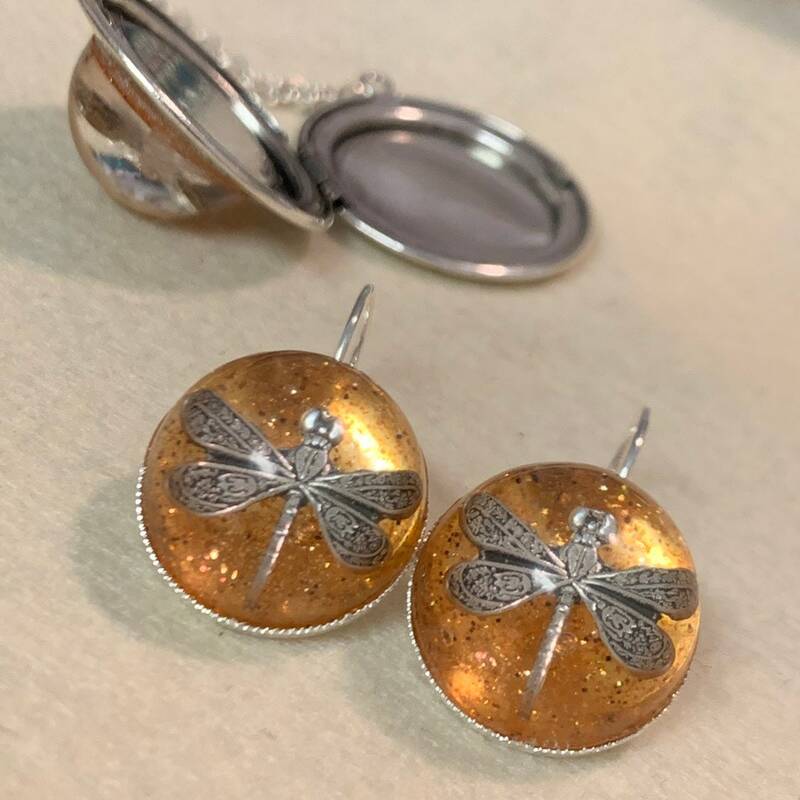 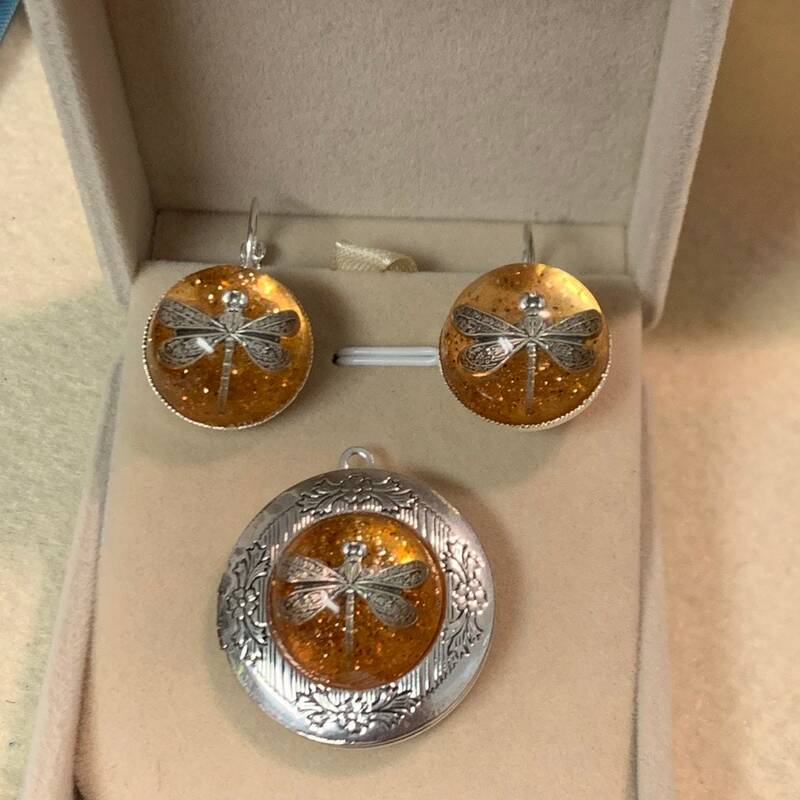 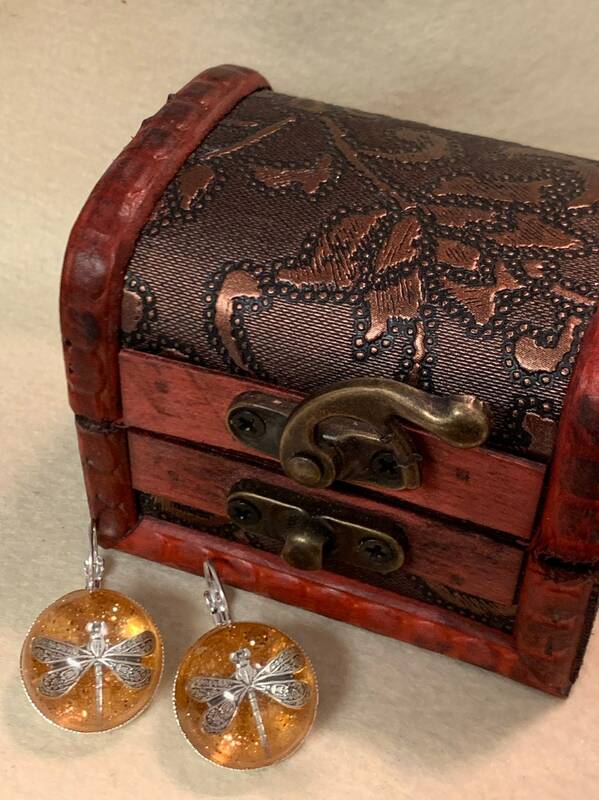 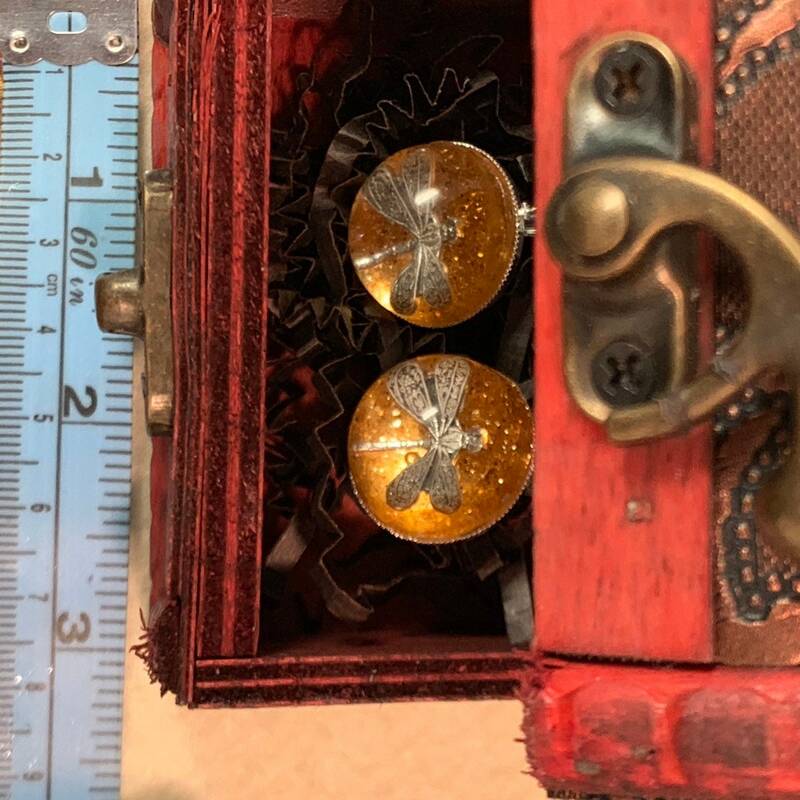 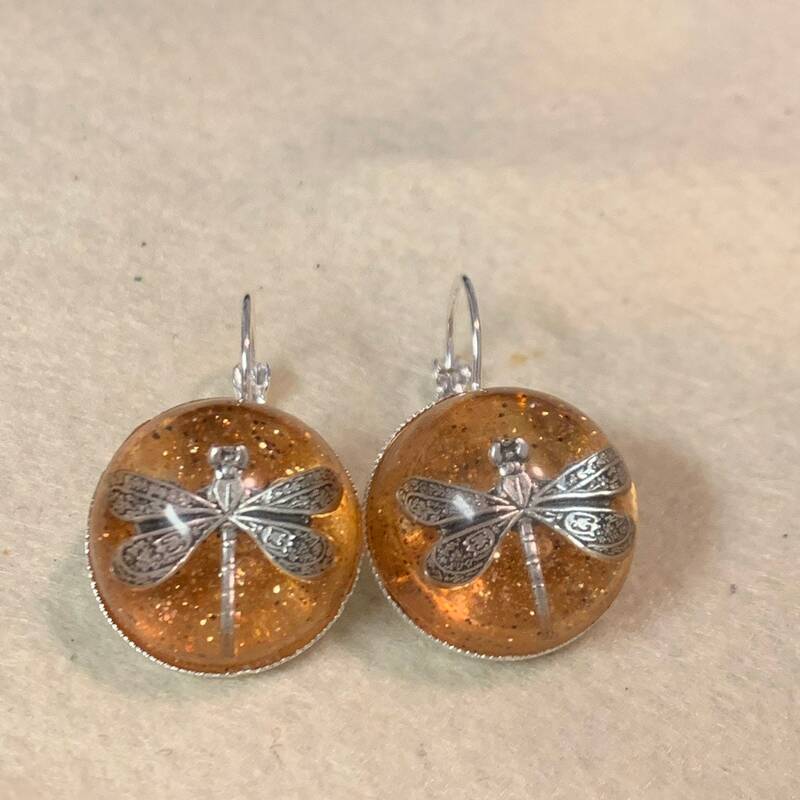 Goes with this silver Locket SOLD SEPARATELY https://radigund.com/listing/533833282/silver-locket-dragonfly-in-amber-photo.